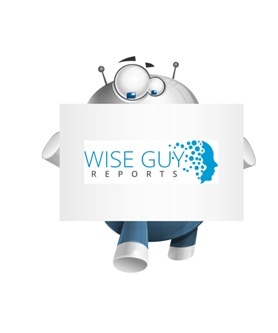 WiseGuyReports.Com Publish a New Market Research Report On –“ Contact Lenses Market 2019 Global Share,Trend,Segmentation and Forecast to 2026”. The Global Contact Lenses market is anticipated to reach USD 18.9 billion by 2026. Once of the key factor driving the contact lenses market is to enhance aesthetic appearance by using them as fashion accessory particularly, by the youth population. Also, constant development in technology of product materials and given a boost to colored or decorative contact lenses, which is further anticipated to influence the demand. Moreover, the rising incidences of visual imparities such as myopia, presbyopia, hyperopia and astigmatism is propelling the market growth. The World Health Organization, in 2015, estimated that approximately 1.9 billion people across the globe have been affected by myopia and the number is anticipated to be more than 2 billion by 2020. Thus, the demand for contact lenses during the forecast period will experience a growth. The contact lenses manufacturers and vendors are appealed by the high profit margins offered by the contact lenses thus, boosting its manufacturing as well as enhancing the network of distribution. Also, advancements in technology in form of material will provide new opportunities to the manufacturers with time. By type segment, the Rigid Gas Permeable (RGP) Lenses was valued over USD 800 million in 2017 owing to factors including, sharp vision, high oxygen permeability, cost-effectiveness in the long run, and durability. The contact lenses market by usage type is segmented into Corrective, Therapeutic, Cosmetic, Prosthetic, and Lifestyle-oriented. The corrective lenses usage segment is currently growing at a CAGR of more than 6.2%. The demand is attributed to its various applications. Whereas, cosmetic lenses segment is expected to witness high growth during the forecast period. On the basis of design, the hybrid lens segment is anticipated to experience a noteworthy growth as it is a combination of both soft lenses and rigid gas permeable lenses. Thus, it provides comfort of soft lenses coupled with the visual clarity offered by rigid gas permeable lenses. The growth of hybrid lenses segment is expected to propel with the increased demand from people with keratoconus and astigmatism conditions. The North America market holds the largest share owing to presence of better eye care treatment facilities as increasing elderly population. Although, the Asia Pacific market is expected to bolster with a high CAGR attributed to the increased awareness regarding contact lenses among the population as well as their increasing ability for healthcare spending. The key strategies adopted by the market players include long-term partnerships among the other players in supply chain particularly, distributors and suppliers with an aim to increase their geographical footprint. For instance, in 2016, Vision Direct Group Ltd. was acquired by Essilor International S.A. for the enhancement of its online retailing business presence. Major industry players include Alcon Laboratories, Inc., Abbott Medical Optics, Inc., Bausch + Lomb, Incorporated, Carl Zeiss AG, CooperVision, Inc., Contamac U.S., Inc., Hoya Corporation, Essilor International S.A., Medennium and Johnson & Johnson Vision Care, Inc. among others.